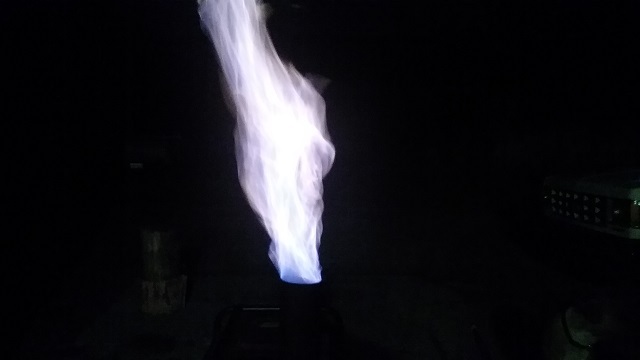 So I just tried an experiment to try and see if I could perform a torification process using the fire box and pellet burner over top as a heat source. I chopped up some branches and run less than 30 minutes. What do you charcoal guys think?? Well I could have let it go a little longer the thicker ends didnt quite get there. Im going to make or see if I can find a pan with some sort of lid that will fit in there. So I dont make so much smoke when I take it out. 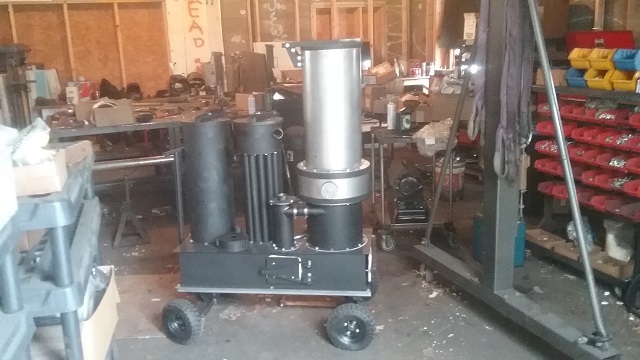 So now that I know I can make charcoal relatively easy with this thing with minimal smoke out the chimney; Ive gone ahead and designed what will hopefully be an affordable charcoal unit. This will be the Enduro RocketFire C1000. The “C” stands for Charcoal and the 1000 is the intended power rating for it. There will be another wood version later based on new revelations based from the pellet fuel reactor add on to the pack stove. 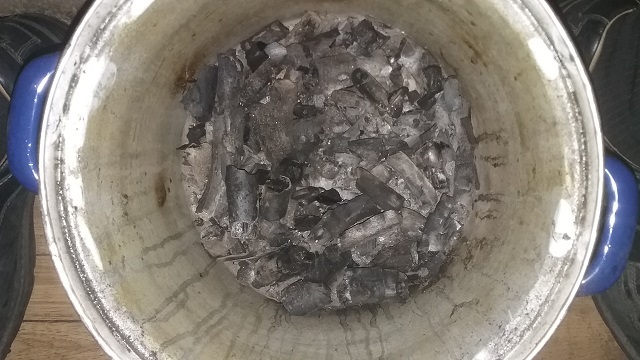 Im thinking on the pellet gasifiers I may be over thinking and complicating them. I think they need to be small with lots of air to make work. 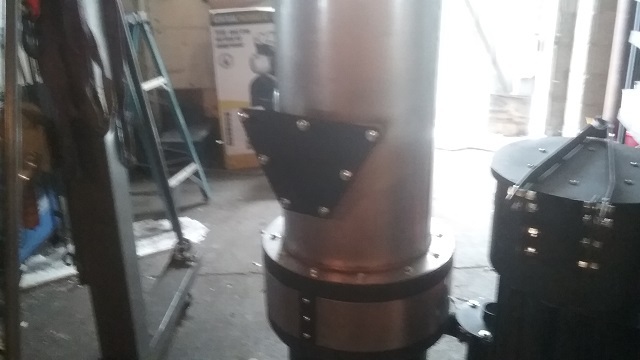 Im planning another HD rocket stove that will feature this reactor. Ive tried both sticks and pellets in it, they both work. Might be able to run chips in too. Whipped up a simple filter that will connect via quick connects. Nasa called you yet ? Do you ever find time to sleep ? Actually this is slowing down, the development of the gasifiers was constant work. 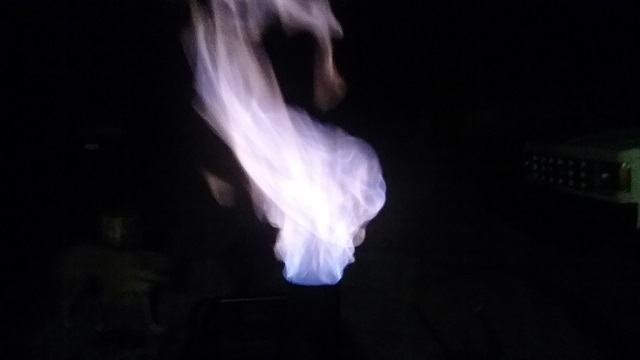 This is more fun, Im having a blast with the new stove, it is pretty cool. near freezing outside and if it weren’t for this stove so would I Ive got a lot of ideas for simpler stuff I hope to roll out, so there will surely be lots more to come. 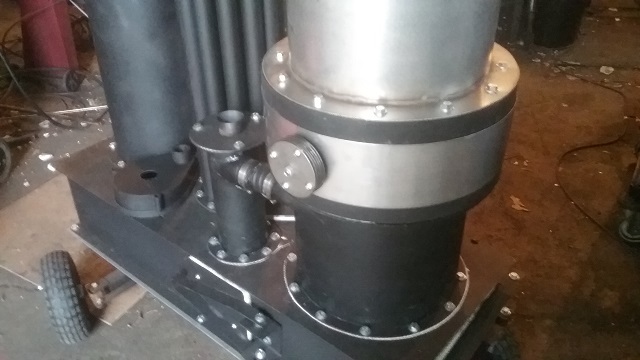 Ok so here we go again with another gasifier based on wood pellets. Going to be trying some brand new concepts combined with some features taken from the Flex R1. This is a jet less design with a two stage combustion process. 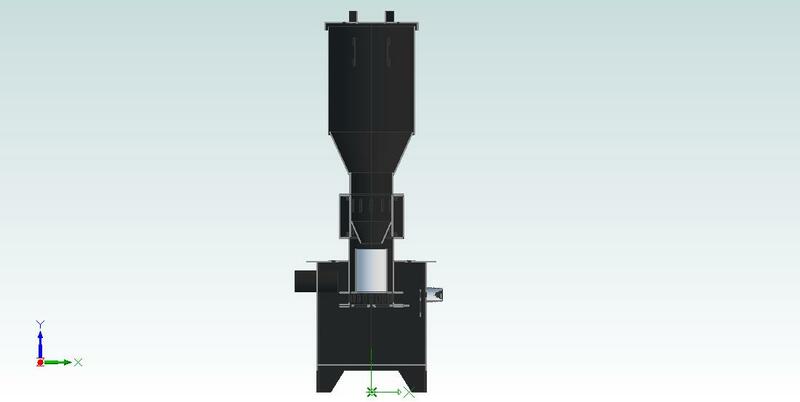 It has a primary / pyrolysis combustion chamber and a secondary combustion process just below the primary. The reason I came up with the secondary chamber is in order to cut cost on this we need to use as little vendor bought items as possible. So this hearth has slots cut into it ash will eventually fall out from these slots like on the pellet fuel reactor for the stove. However that is self cleaning, on this reactor it would have no where to go and just accumulate. So there is a second set of slots to let in secondary air and ash should be able to flow through here. 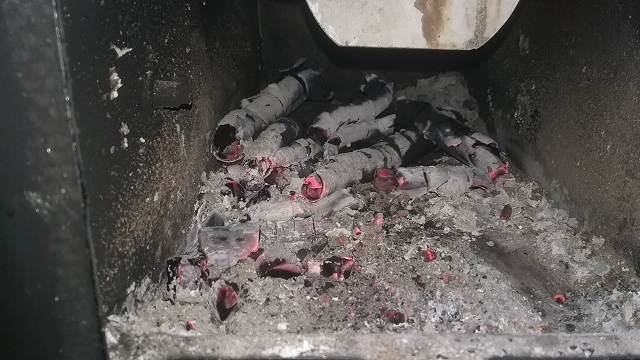 There is a cone in between the chambers to separate then and hopefully what will happen is the secondary combustion will be much like a charcoal reactor and boost temps in the reduction fro higher tar cracking. The lower part has our cross flow grate system. This as is with out automation I think we should be able to build for just less than $1000.00 This is a bit more involved then the stove but it share many of the parts from both the stove and pellet stove reactor. 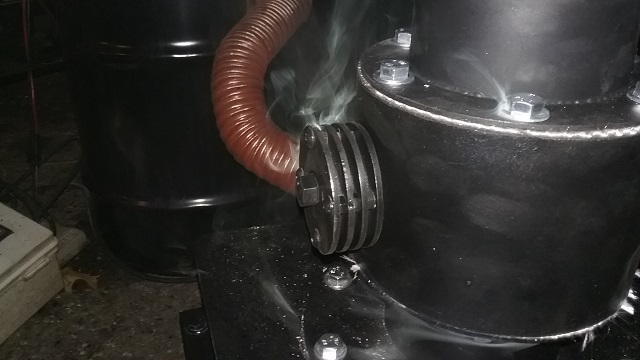 The hopper for the pellet stove and this gasifier are interchangeable ash / char clean out door is the same as on the stove with the same latching system etc. Hope it works because the small genny died on me today and need to run the bigger one but its a gas hog, would be a lot more economical to run it on pellets. 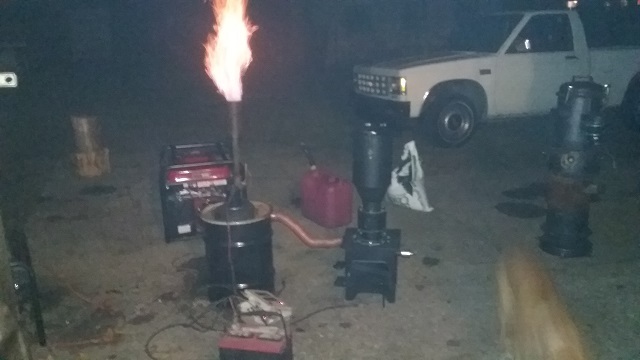 So everyone called in sick today, so I guess since I had the shop to myself Id continue this weekends development work and finished the construction of the Endure Pellet Gasifier. 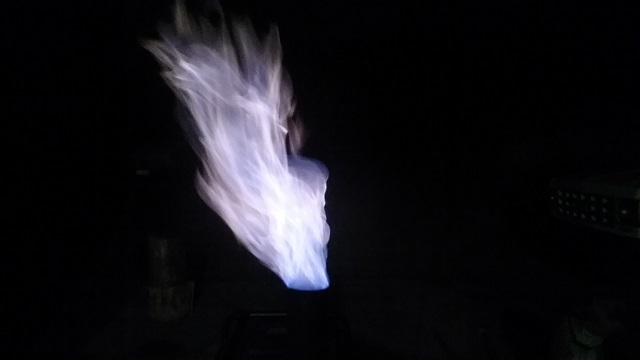 Fired off this little bugger tonight, took a bit as I started on raw fuel no char bed established. Pretty cool Ive never seen a flare like this on a pellet machine ever. But too early to tell, the flare looks like it will run an engine but Ive been deceived with the TOG project so wont know till I actually run. Going to be running the 8750 gen with 420 cc engine. 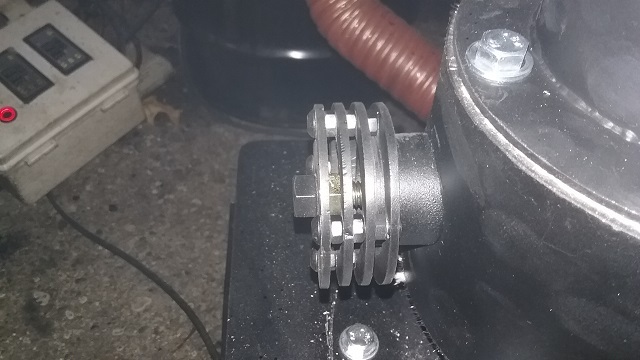 If it dont go into full melt down I think it will run, Check out the new primary air intake feed, no more pipe cap, In order to bring back the primary air heat exchanger for the Utility I needed a clever way to open air feed but also use this port as a means for lighting. This Im calling a step valve and it has a threaded rod that goes in the center of this plate valve. You simply fully remove it and light the machine through where it threads into. When you put it back in the threaded rod plugs this up after its lit. Just make sure that it is an odd number of clicks. Well, if it is an even number you lose a like. Pairs, it must be pairs, symmetry dammit! So yeah I ran today didnt go so good. Got up and going and while it was flaring off I set up the generator and then it stopped!!! Could not get it going again, what is going on!! So had to go with the second chamber possibly burning out the char bed. So tore it apart and sealed that up. Put it back together and I was able to get to flare again. Ok so its fixed!!! got the genny up and going again and ran great and then fizzled out. UtOH!! Why did it do that? Ok maybe it bridged shook it up agitated the grate got it going. Kept running but something was just not right the conditions kept getting worse and worse until I run the generator with mixer valve all the way shut. Nope not supposed be able to do that. Got the genny back running on gas and flared the machine off and it was torching away. So step back like large steps back and fast!! haha. So yeah probably fixed some stuff that didnt need fixing. I knew this machine would get hot and I knew there was a possibility of burning out the high temp hose. It really never looked like it got cooked or anything so I didnt suspect it. But sure enough I after I ran I blew positive into the gasifier to see where the smoke would come out and its bleeding out the entire hose. So the fix is direct couple and eliminate the hose. So now I have to unfix what I did fix and run again. After sealing it off it did still seem to make good gas though, but not like last night. So I want to get back there and then tune. I do think it maybe too much for the top chamber to keep up with so Ill start out with smaller holes and adjust from there. Looking like top quallity fab work, AS Allways.glad you found too mounky, i got a leak ander my truck by the drain tank and the tank stays empty till fixed, made it home from scrap yard, then today found my screen on my air filter pluged with silt, think i will get back toohay filters and try your mini series cylones next, after my two hay filters in front of both front tires, once i move the battery tray. thanks for your resourse info. As we have said before, @Chris needs to add a “Like 10X” button! So here is the very first 2018 Utility with all updates. This has the revised hearth section with the air preheat chamber brought back and then a removable damper control for lighting. 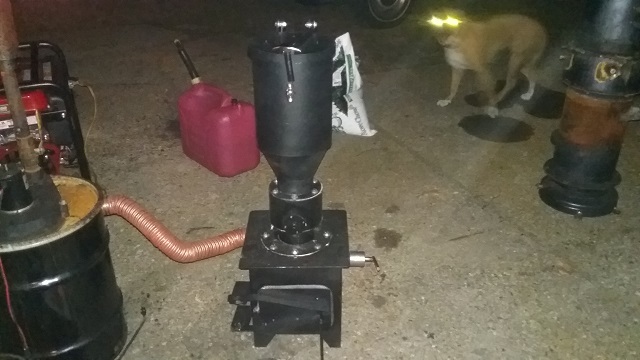 Also a the new HD rocket stove, I over hauled last years version made it modular and added an air difuser and grate system that can be actuated. Im working on a CHP system my self and you have many great design ideas. Matt, you do really good work! Super clean looking man! Good job! I’m new to this but gonna start my build soon.